Ötztal. Tirol at its best. Summer in Ötztal at its very best: In the scenic valley of 250 mountains higher than three thousand meters you can explore almost endless 1600 km of hiking trails and walking paths. A truly varied hiking holiday in Austria is guaranteed. Those who prefer exploring Ötztal’s huge diversity (and 5 climatic zones) on two wheels, can look forward to some 850 kilometers of mountain bike trails – including the new, valley-wide Ötztal Cycle Trail. Ötztal also makes a perfect spot for memorable summer holidays in Tirol if you love “vertical” sports as there are 19 rock climbing gardens and 8 spectacular via ferrata routes. Great refreshing moments on your Ötztal holiday await you not only at the countless swimming facilities but also in the outdoor activity hot spots. Excursion destinations for all the family - such as the WIDIVERSUM - promise relaxing summer days. The hotels, guesthouses and holiday apartments in Ötztal, which have a real ace up their sleeve thanks to the Ötztal Premium Card, provide splendid moments of well-being. The unrivaled variety of an Ötztal summer is bundled in several bargain package deals. A vivid virtual journey of Ötztal Valley is provided by the interactive 3d map including hiking tours, mountain bike routes, many breathtaking 3d views plus interesting places and vistas of the entire Ötztal. 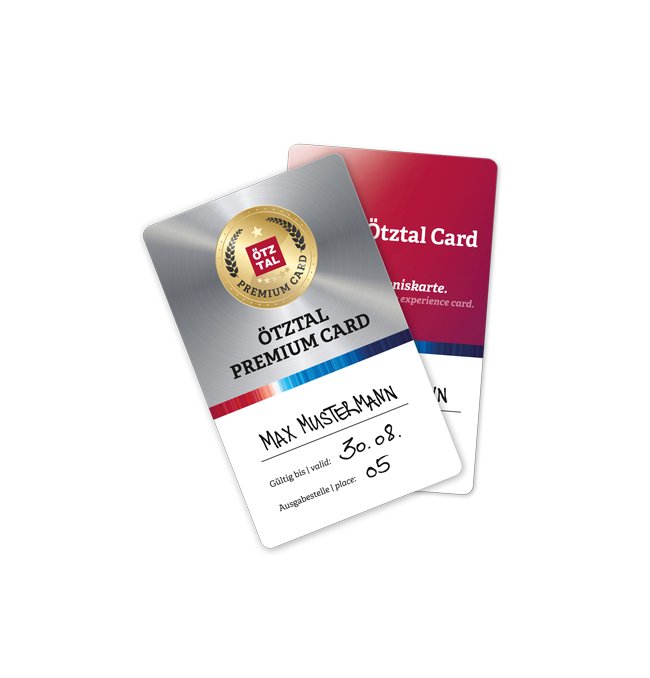 If you stay at one of our Premium Partner Accommodations you can take full advantage of all Ötztal Premium Card inclusive services. As soon as you check in at one of more than 300 partner accommodations in the entire Ötztal you get the free Ötztal Premium Card comprising all the valley's highlights and attractions. 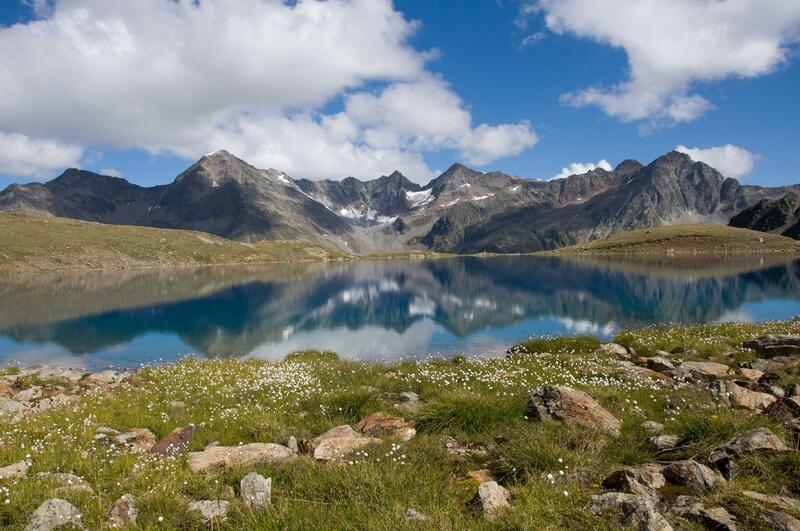 ou stay at an accommodation where the superb Ötztal Premium Card is not already included? No problem: you can simply purchase the regular Ötztal Card for 3, 7 or 10 days at countless selling points, which comprises the same attractions. 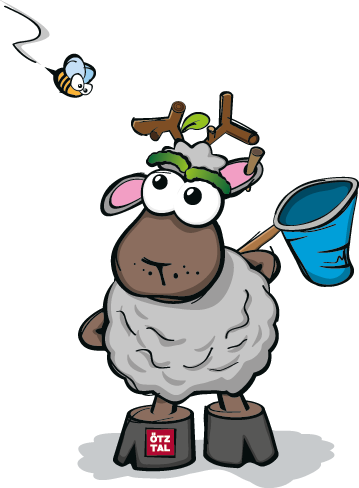 A perfect mascot for the youngest vacationers in Ötztal is already waiting for them - WIDI, the funny mountain sheep, welcomes all children and accompanies them throughout the day. His realm is the WIDIVERSUM, a family adventure park beyond 2000 meters above sea level in Hochoetz. Little explorers are in search of the magic crystal.